Puts your mind & body to the test! Congratulations! You are the proud owner of the most powerful and complex supercomputer ever - your brain! It controls your entire body, everything you think and do, plus it makes you, you! 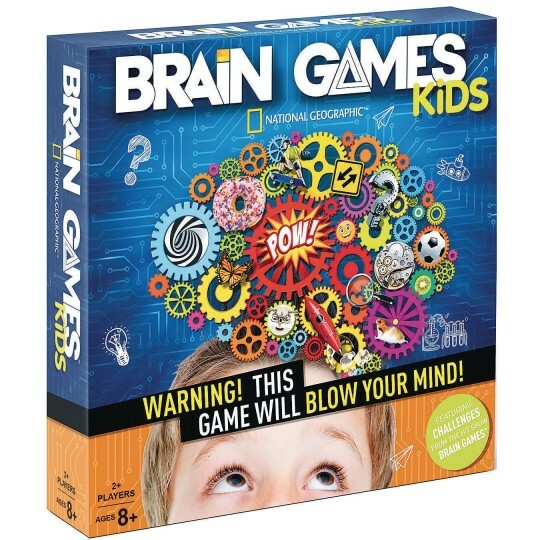 Based on the Emmy-nominated National Geographic Channel TV series, Brain Games™, Brain Games Kids takes players through a series of challenges that puts both their mind and body to the test! Teams go head-to-head to test their logic, language, vision and physical coordination. 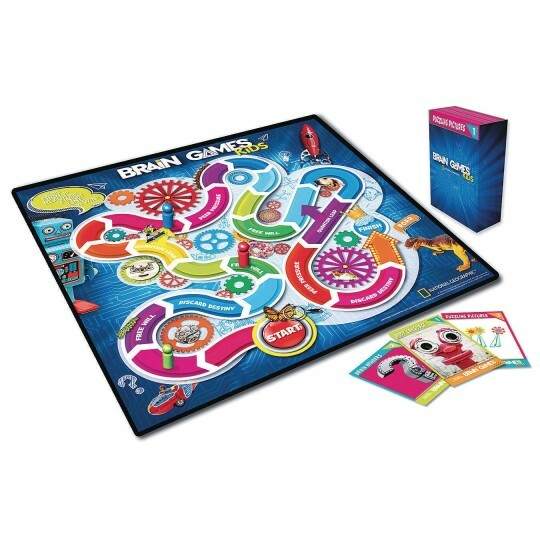 It’s a great party game and perfect for family game nights! Play as teams and work together to answer mind-bending challenges in this cerebellum showdown! The first team to reach the finish space wins! Includes 128 Challenge Cards in 3 categories, 1 Card Holder, 1 Game Board, and 6 Colored Pawns. For 2 or more players.